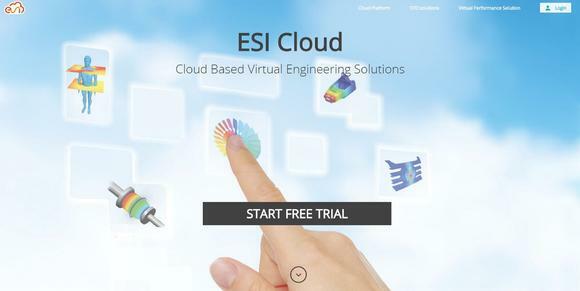 ESI Group, pioneer and world-leading solution provider in Virtual Prototyping for manufacturing industries, announces the launch of ESI Cloud: a reliable, scalable, multitenant and secure SaaS Platform designed to deliver advanced engineering simulation in the cloud, across multiple physics and engineering disciplines. Convenient and highly secure, ESI Cloud enables instant access to selected Computer-Aided Engineering (CAE) solutions of ESI: from anywhere, at any time and providing elastic resources to fit varying simulation needs, from occasional use to peak loads. ESI Cloud is the only CAE cloud platform on the market that includes parallel workflows, templates and sample projects , which enable even novice users to become productive quickly. Substantially lowering the cost of ownership and the need for in-house expertise, ESI’s new portal is a significant step towards the democratization of Virtual Prototyping. First to be offered by ESI are an end-to-end CFD Solution, enabling effective use the open source software OpenFOAM, and on-demand use of ESI’s Virtual Performance Solution. Christopher St John, COO, ESI Group, comments "Cloud computing is a game-changing information and communications technology (ICT) designed to deliver increased mobility, elasticity, and scalability. ESI Cloud aims to provide the CAE world with a unique solution that leverages cloud technology to enhance team collaboration — in real time, across sites and across multiple domains of physics — unleashing the true potential of end-to-end Virtual Prototyping." ESI Cloud is powered by the innovative technology developed by U.S., Silicon Valley company Ciespace that was acquired by ESI Group in April 2015. ESI Cloud’s modeling capabilities are built entirely on an open service platform using the state-of-art web technologies, providing the flexibility to introduce proprietary or open source geometry, meshing, physics solvers, or visualization engines. The platform is able to deliver scalable High Performance Computing (HPC), has a multi-tenant architecture, an open application framework, enables real-time collaboration and provides browser based visualization, all with a high level of security. ESI Cloud uses the Amazon Web Services (AWS) platform, and the latest generation HPC equipment. ESI Cloud includes modules for modeling, collaboration and cloud services. ESI Cloud’s modeling capabilities cover the full chain of CAE processes, end-to-end, from geometry to meshing, multi-domain simulation, workflow and simulation management and results visualization. 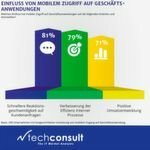 Collaboration aspects include real-time collaboration, as well as data, task and project sharing, with workflow management. ESI Cloud services provide advanced usage analytics and security. The first software available on ESI Cloud is ESI’s flagship end-to-end solution Virtual Performance Solution (VPS). The solution enables industrial companies to evaluate and optimize product performance across multiple domains, so they can develop higher performance products at lower cost and in less time. By giving access to Virtual Performance Solution on-demand, ESI enables its customers to handle peak loads in the cloud and empowers companies of all sizes to run very large models in parallel (above 32 cores) in the cloud — obviating the need for initial hardware and software investments required for running large simulations. The cloud-based version of VPS also enables real-time visualization of CAE results, enabling the full interactivity needed during the simulation workflow along with the ability to handle large data generated for 3D visualization in the browser. ESI has also launched a cloud-based solution around OpenFOAM, the most popular open source CFD code. ESI Cloud offers OpenFOAM enthusiasts an end-to-end solution to support CFD calculations with OpenFOAM – from geometry import and cleaning to meshing, solver-based computation, results visualization, collaboration and workflow management. Registered users can also benefit from the services of ESI in-house CFD experts to customize the standard OpenFOAM code to their needs, and use it in the cloud. ESI plans to release several more SaaS and hybrid solutions as well as industry specific vertical applications in the upcoming months. For users who register with appropriate corporate or university e-mail IDs a Freemium pricing model is available to facilitate the ‘try & buy’ approach. Several subscription plans have been designed to fit the needs of students, occasional users, professionals and enterprises. "With ESI Cloud, we will transform the way products are developed and manufactured in the engineering world," concludes Christopher St John.